Matobo National Park is a gem. 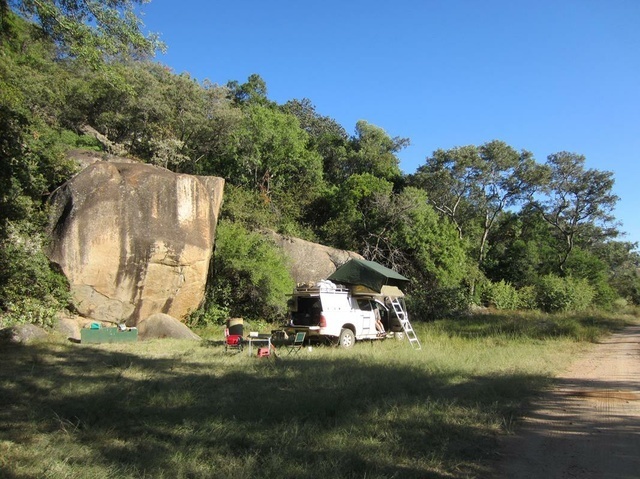 It is renowned for the Matobo Hills with its massive boulders and balancing rocks, located close to Bulawayo. The area is rich in history and culture. Numerous caves with Bushmen paintings give clues to the early human inhabitants of the area. At Pomongwe Cave thousands of Stone and Iron Age artefacts are on display. Some of them date back as far as 14 000 BC. Matobo is the oldest protected area in Zimbabwe, declared in 1926. It is a small park, only 440 square km, and was declared a World Heritage Site in 2003 because of its cultural significance and diverse environment. Matobo means ‘bald heads’, an epithet said to have been conferred by Mzilikazi, founder of Zimbabwe’s Ndebele nation. Interestingly both him and Cecil John Rhodes chose to be buried in the Matobo Hills. There are various wildlife like Antelopes, giraffe and Zebra, Kudu, Wildebeest, Eland, hyena, Cheetah, Warthog, Duiker, Baboon, Crocodiles, Cheetah black and white rhinoceros that can be found in the park with a large number of black eagles. 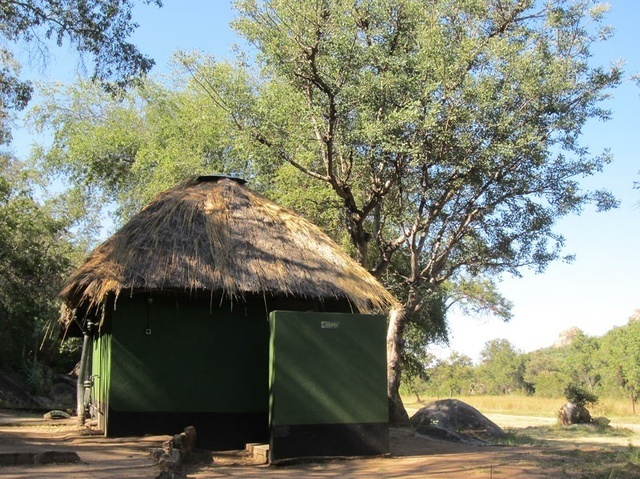 Accommodation is also available in chalets, campsites and lodges. 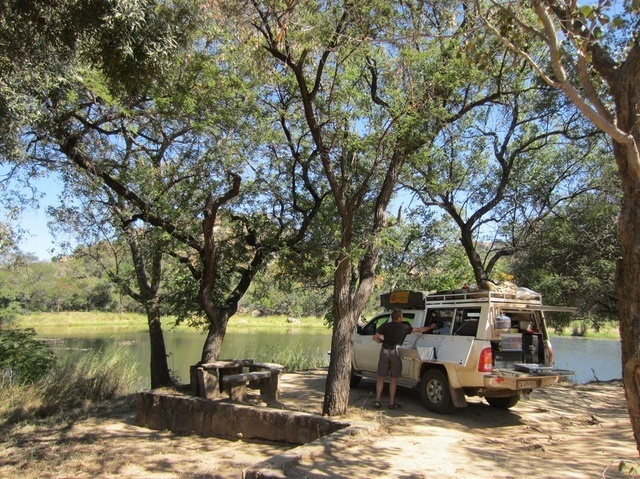 There are a few campsites in Matobo NP but the site at Maleme Dam is the only one with operational ablution facilities. (July 2015). Park entry fees: 10USD per vehilce, once-off; 6USDpp; Camping: 9USDpp; 10USDpp to visit caves etc.